Musician Pauly Fuemana died yesterday after a short illness. He was 40 years old. Pauly is from a talented family of musicians, who were pioneers in hip hop and the music industry in South Auckland. He was frontman for the group OMC (Otara Millionaires Club) but is best known for How Bizarre written with producer Alan Jansson and released in 1995. The song sold millions of copies. It was a catchy international hit that put music and musicians from South Auckland on the map both locally and globally. When How Bizarre hit the international charts, I was in Ireland visiting the Irish (I call them the Samoans of the north Atlantic!) side of my family. My cousins took me to a nightclub, which was low on energy until the now classic opening notes of How Bizarre boomed out and patrons raced to fill the dance floor. It brought a smile to my face to see how a tune from the South Pacific could make these “Irelanders” move! Of course, appreciation of How Bizarre was equally strong at home, and Pauly and the music of OMC have had a place in Te Papa since the museum opened in 1998. 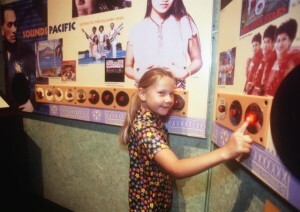 In the exhibition Mana Pasifika: celebrating Pacific Cultures (1997-2007), the 1994 track we R the OMC was part of a small display highlighting the diversity of Pacific Islands music. You can still hear Pauly and the OMC in Te Papa’s current exhibition Tangata o le Moana: the story of Pacific people in New Zealand (2008-). 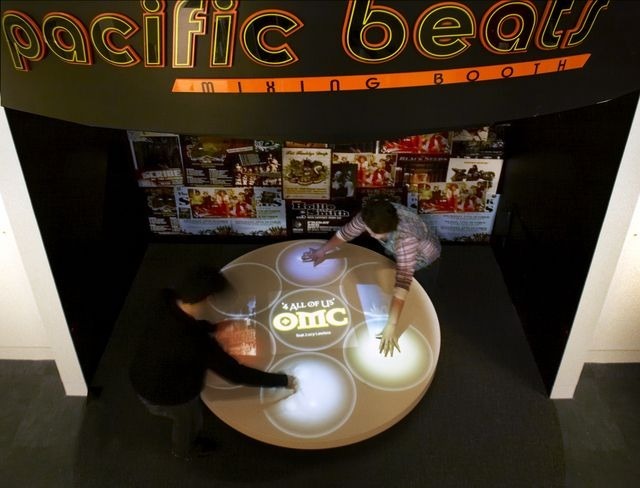 Check out the Pacific beats mixing booth. The hit How Bizarre is also highlighted as one of the many contributions Pacific people have made to New Zealand’s music history. Pauly visited the exhibition team during the show’s development. We enjoyed his stories and the afternoon he spent with us. We extend our sympathy to the Fuemana family, their friends and the fans of the OMC. Thanks Pauly for putting Otara, South Auckland and the Pacific people on the world map. RIP, monuina e haau a fenoga! Malo Sean and crew, loving the blog, the personal insights and great info about Te Papa. Will RSS it and see you on Twitter! A “son of Otara” – ‘a brother of the hood’. Pauly, you will be missed. How sad for your kainga when we still dearly remember and miss the brother Phil also. Thank you for bringing Otara to the world and spinning a positive image of “Pacific” into your video clips… long live the lavalava and ula!! Ia manuia lava lou malaga brother!